Get ready to set sail with the personalized Maritime Beer Mug, with a nautical barrel design that’s bound to be a favorite for beer, water or soda. We engrave your text, design or logo between the ribs in the middle of the mug – it gives a nice framing impression. This mug is 7 inches tall and holds 15 ounces. 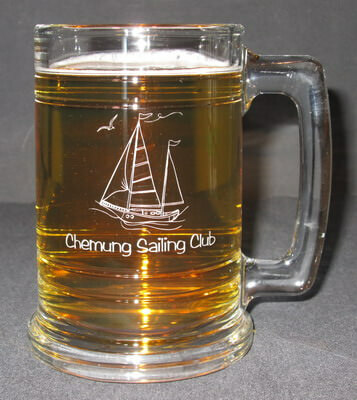 Personalization, text and/or design, on the front of the engraved beer mug is free, other options are available for an additional fee. We suggest keeping your text (if any) to 4 lines of 18 characters per line, it is okay to go over, it may just be smaller to fit it on the glass.